HC shocked as there has been no appointment in last 72 yrs. Chennai: Appalled over the non-appointment of Scheduled Tribe candidate as law professor in Tamil Nadu law colleges and Dr.Ambedkar Law University across the state for the past 72 years under the Rule of Reservation, the Madras high court has said, “It is disheartening to record that the University authorities including the Syndicate failed to notice that not even a single Scheduled Tribe Candidate is appointed as Law Professor across the state after independence. The attitudinal mindset explicitly portrays the insensitiveness on the part of the competent authorities. The Constitutional mandate of reaching the goal of social justice is undoubtedly lacking on account of the erroneous implementation of the Rule of Reservation”. 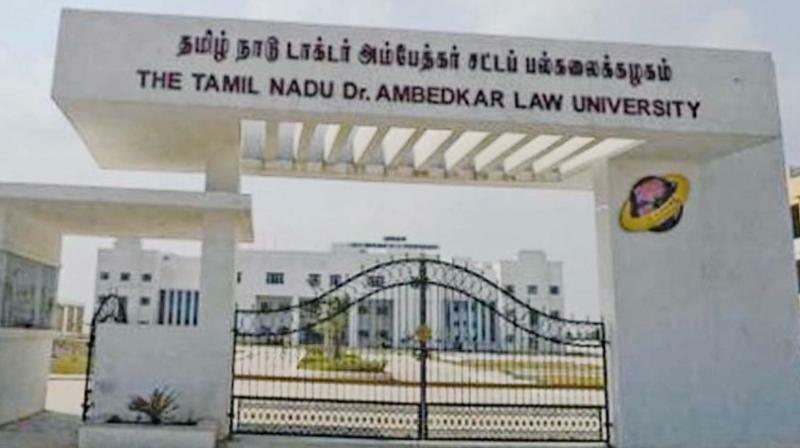 Justice S. M. Subramaniam further said the Law University in the State of Tamil Nadu is named as Dr.B.R.Ambedkar Law University, the Founder of Indian Constitution. But, unfortunately, the University as well as the Government of Tamil Nadu has not appointed one Scheduled Tribe candidate as Law Professor for the past 72 years, the judge added. the law university and other various institutions in the name of Dr. B. R. Ambedkar”, the judge added. The judge said the government of Tamil Nadu was providing appointments in certain special cases. The decision at the administrative level was taken in this regard, considering certain extraordinary circumstances, warranting actions. Similarly, while implementing the subject wise Reservations in appointments of teaching faculty in law colleges, the government was duty bound to review the 200 point roster system and its workability, more specifically, during the implementation of 200 point roster system. In other words, while following the subject wise appointments with reference to the rule of reservations, the workability of 200 point roster system and the hardship, if any caused and the implications in the rule of reservations, more specifically, to the oppressed class people were to be taken note of by the competent authorities. A workable solution was highly warranted, so as to ensure that adequate representations were provided to the oppressed and depressed class citizen, who all were aspiring to secure public employment as per the rule of reservation with reference to the statutes and the Constitution of India.